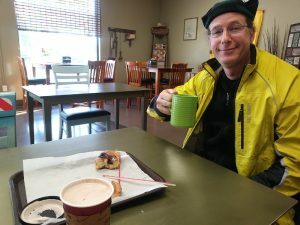 Yesterday we took our fifth “coffeeneuring” ride (see the post on our first ride for more information — also, the inventor of coffeeneuring just posted again on the subject). 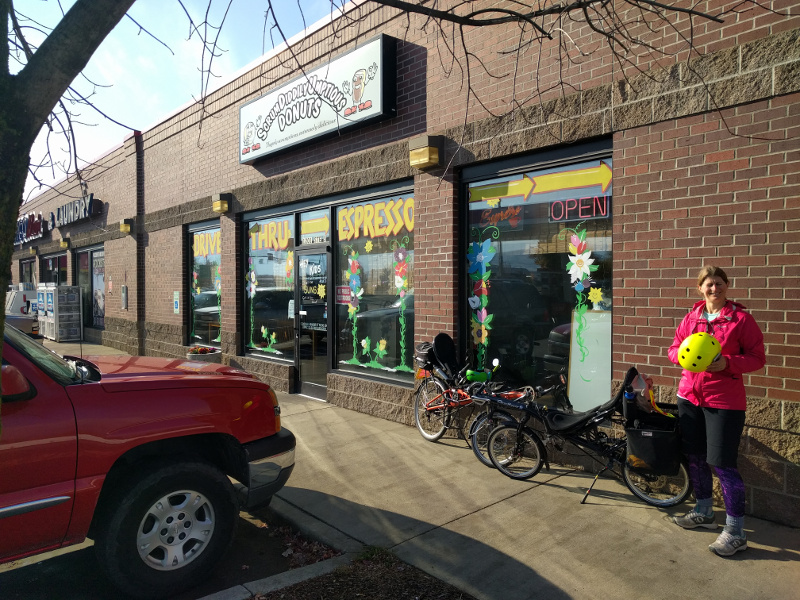 We decided to ride to the ScrumDiddilyUmptious Donuts, at 1201 Barker Road in Spokane Valley. 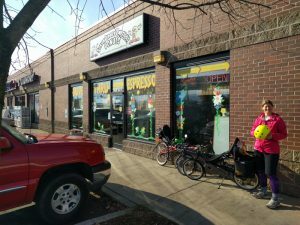 That’s the donut shop that we attempted to visit in coffeeneuring ride four, but this time, we made sure to get there while it was actually open. It was about ten degrees colder than our previous rides, so we added layers of clothing and were plenty warm, and we stopped briefly at the library on the way to drop off our vote-by-mail ballots. The donut shop is located in a mini-strip-mall, with a gas station, convenience store, and Wendy’s hamburger joint. 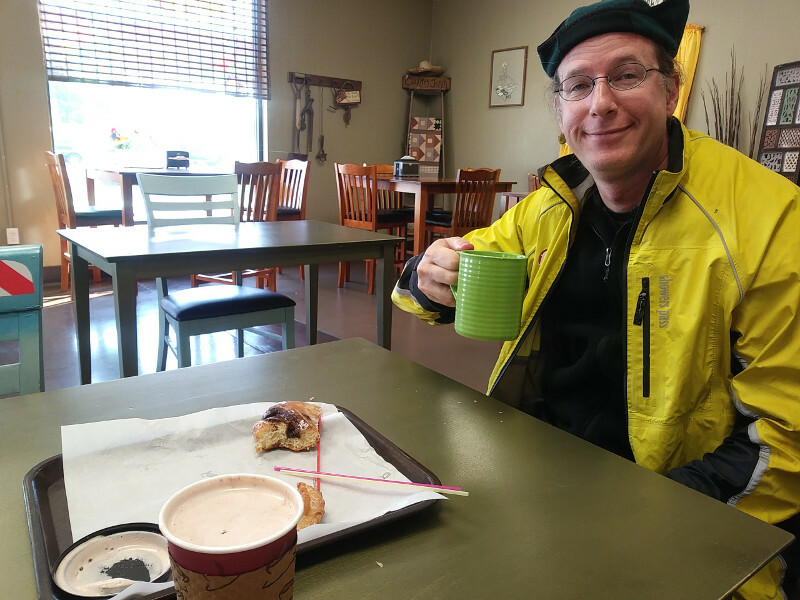 Zach had coffee (serve yourself in a ceramic mug) and a chocolate-and-regular twist donut, and I had a pretty good hot chocolate with a glazed old-fashioned donut. Unlike our other rides, we didn’t do a loop this time, but instead rode back the way we had come (mostly on the lovely Centennial Trail along the Spokane River), for a total of about ten miles.